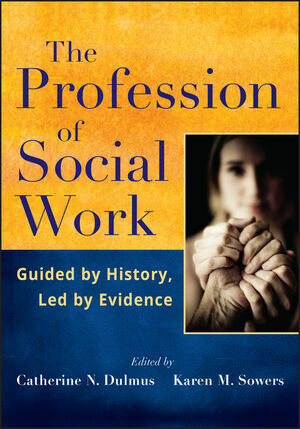 The Profession of Social Work provides a broad overview of the history, scope, values, ethics, and organizational framework of the social work profession. Exploring professional ethics and human rights, evidence-based practice and practice-guided research, as well as emerging trends and issues, this important book presents topics of critical importance to anyone considering a career in social work. Each chapter in the text offers an array of pedagogical features, including Key Terms, Review Questions for Critical Thinking, and Online Resources. With a wealth of insider insights into and guidance on the profession of social work, this book is essential reading to prepare for a career in this field. CATHERINE N. DULMUS, PHD, is Professor, Associate Dean for Research, and Director of the Buffalo Center for Social Research in the School of Social Work at the University at Buffalo, SUNY, and Research Director at Hillside Family of Agencies in Rochester, New York. KAREN M. SOWERS, PHD, is Dean and Beaman Professor in the College of Social Work at the University of Tennessee, Knoxville. Her research interests include juvenile justice, sexuality, social work education, child welfare, evidence-based practice, and international social work practice.